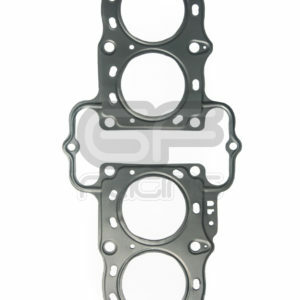 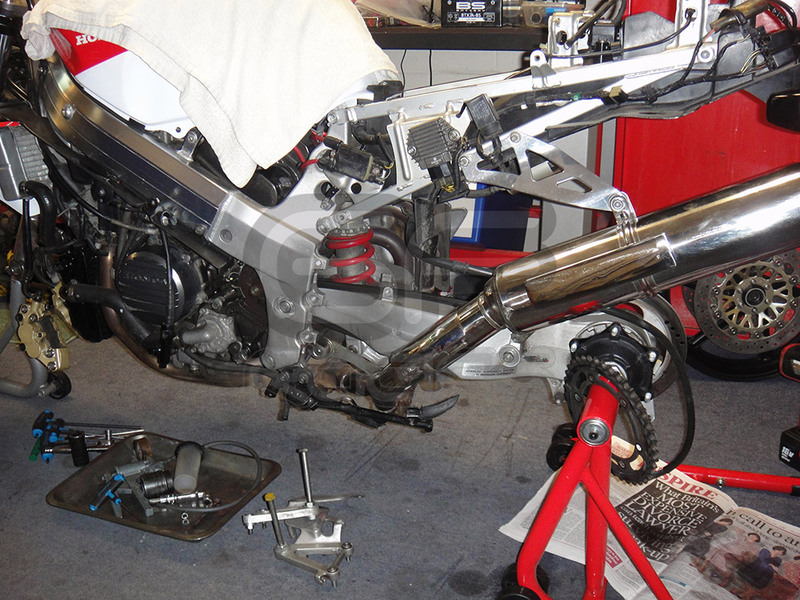 Fuel is now leaking from the carbs, so we shut her down and continue our visual assessment. 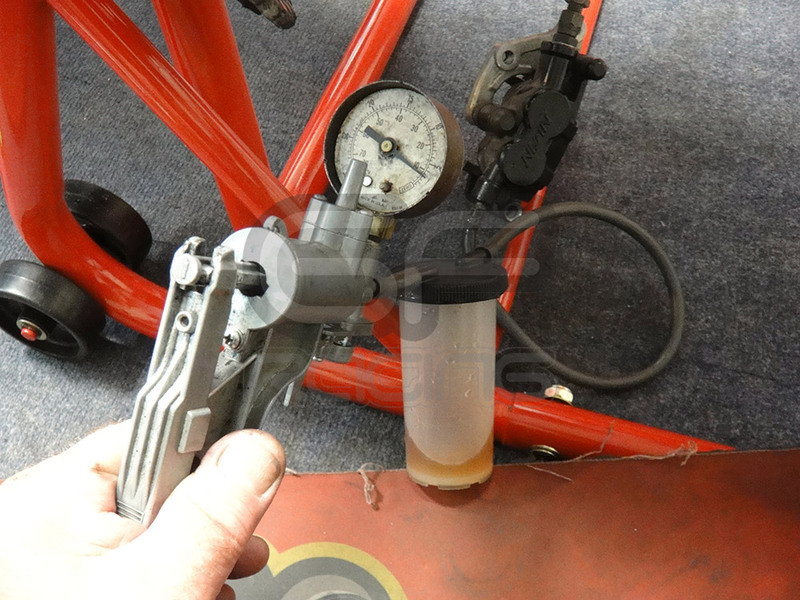 This particular bike is being treated to a set of brand new GF reconditioned NC30 carbs, so the leaking fuel is not so much of an issue and can be explored later at leisure, with the old carbs on the bench. 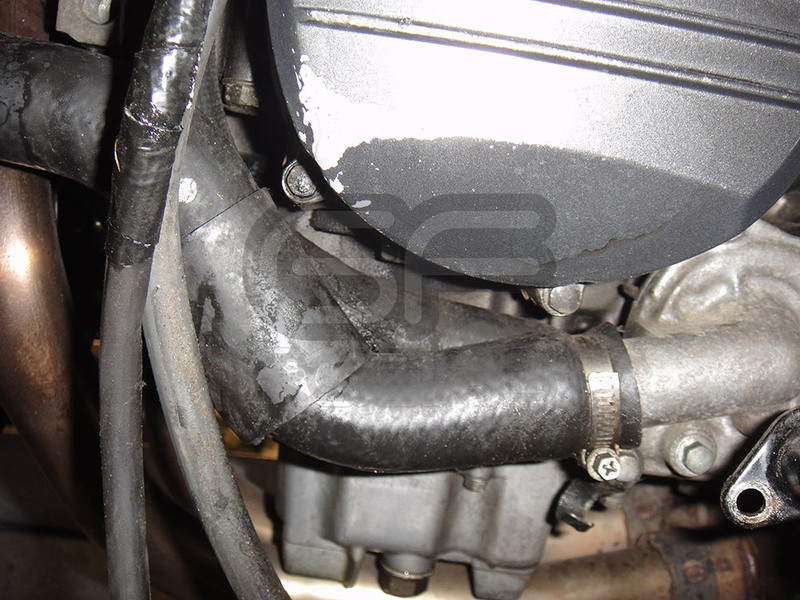 We then notice the coolant expansion bottle is completely empty and a quick look inside the top radiator with the cap off reveals a significant lack of coolant, roughly 1.5Litres down. 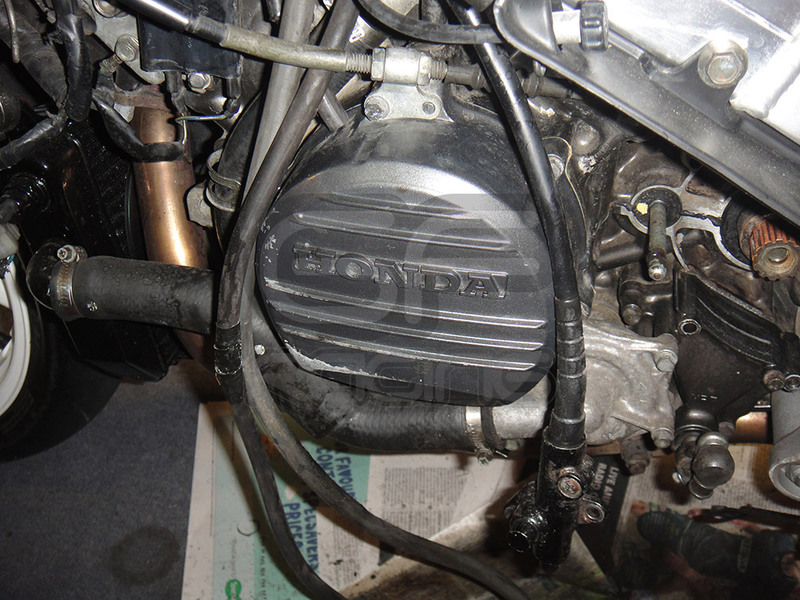 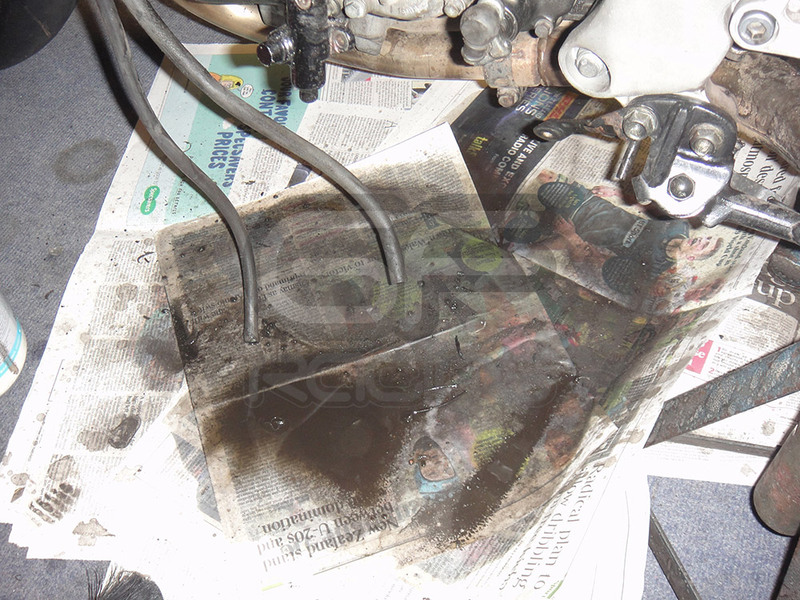 This wont be doing the bike any good at all, and possibly if the bike has been dropped, will be why its lost its supply of coolant, but we’ll need to check this bike isn’t overheating once its been recommissioned. 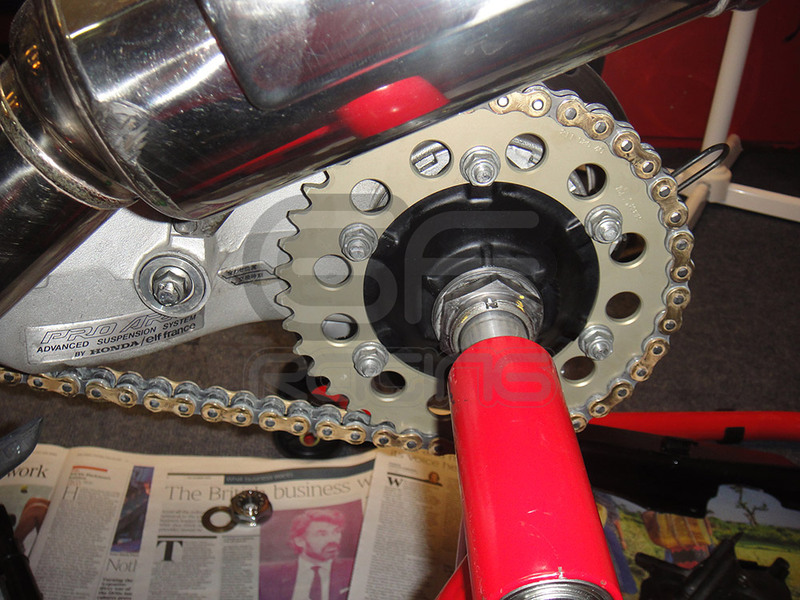 Its clear that the bike needs a thorough going over once its on the bench, and this is a prime example of a 20 + year old bike, that hasn’t been abused at all, but still needs some severe TLC to bring it back up to the standard that it deserves. 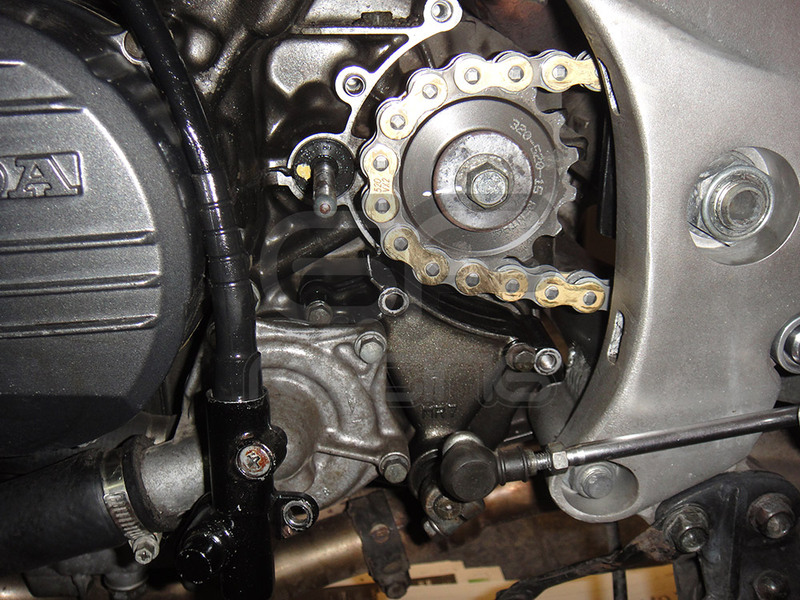 Front sprocket cover needs a clean! 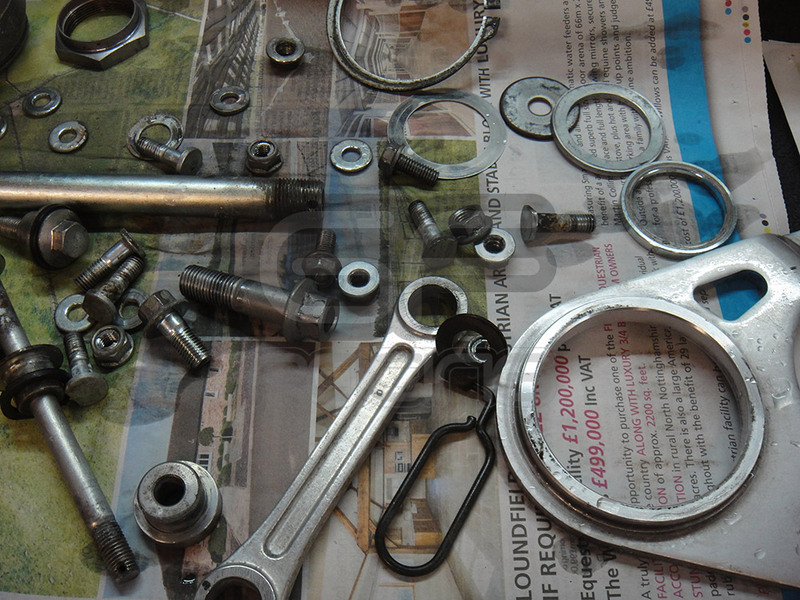 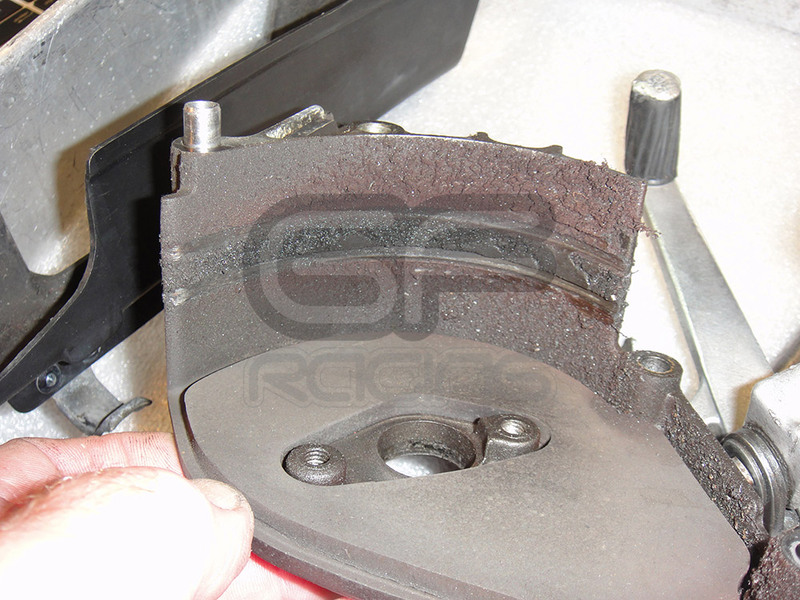 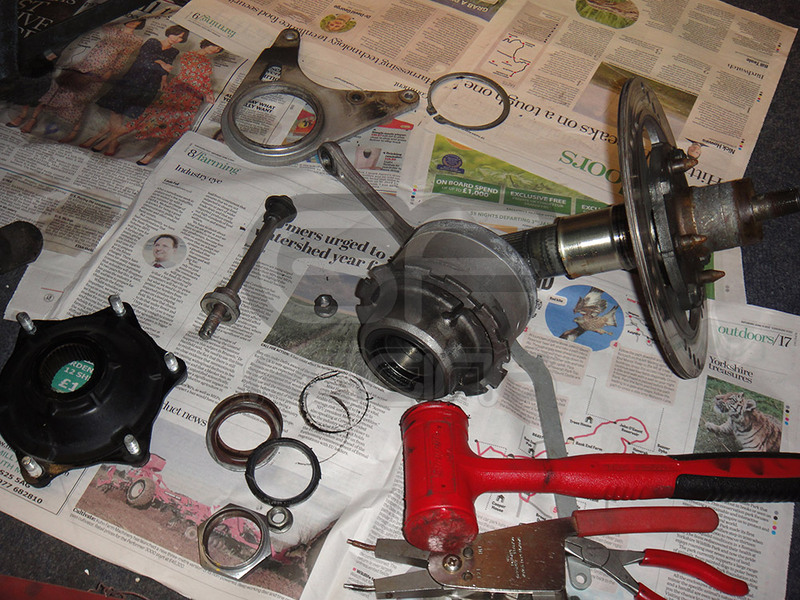 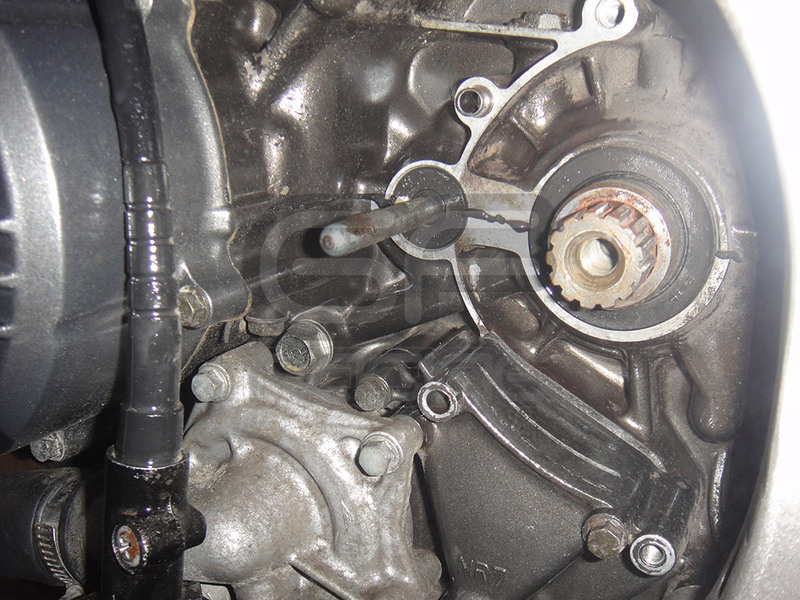 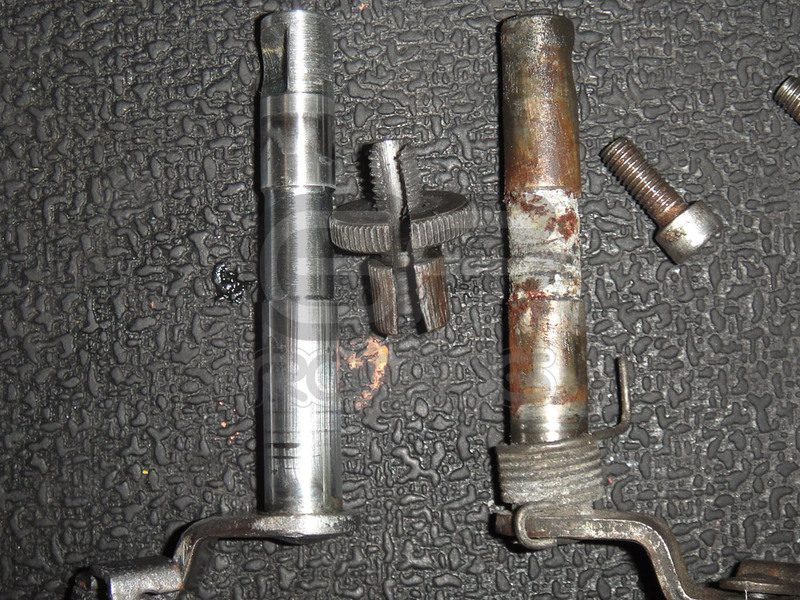 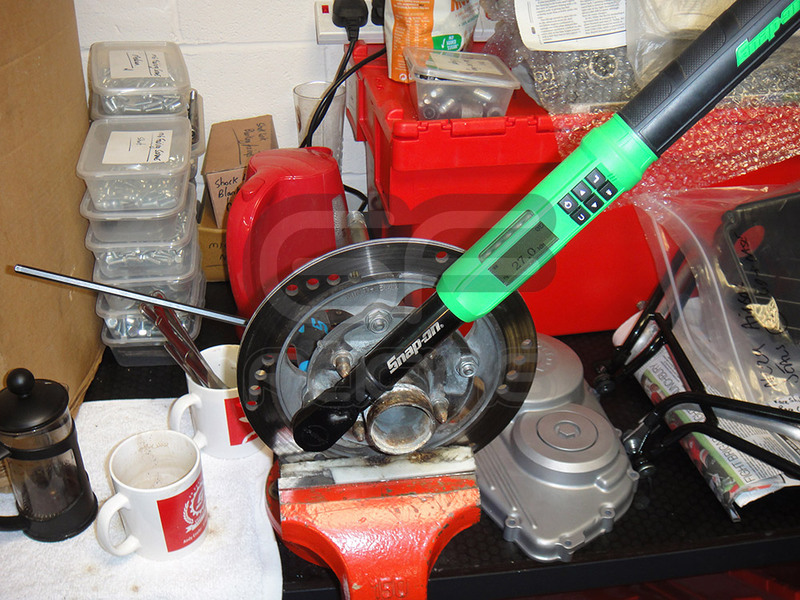 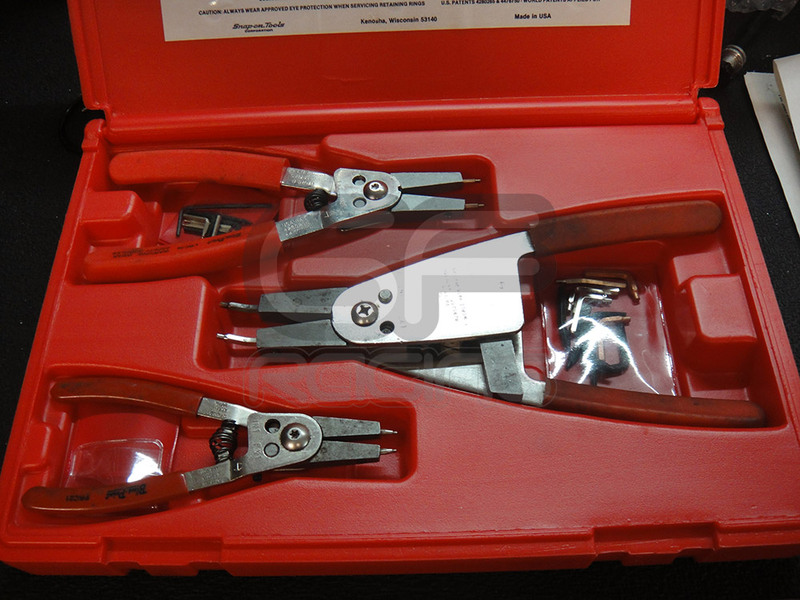 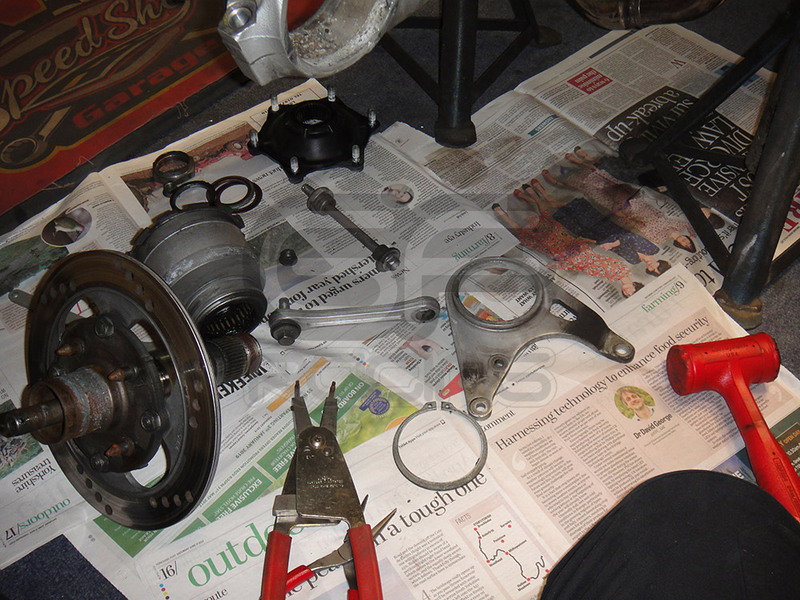 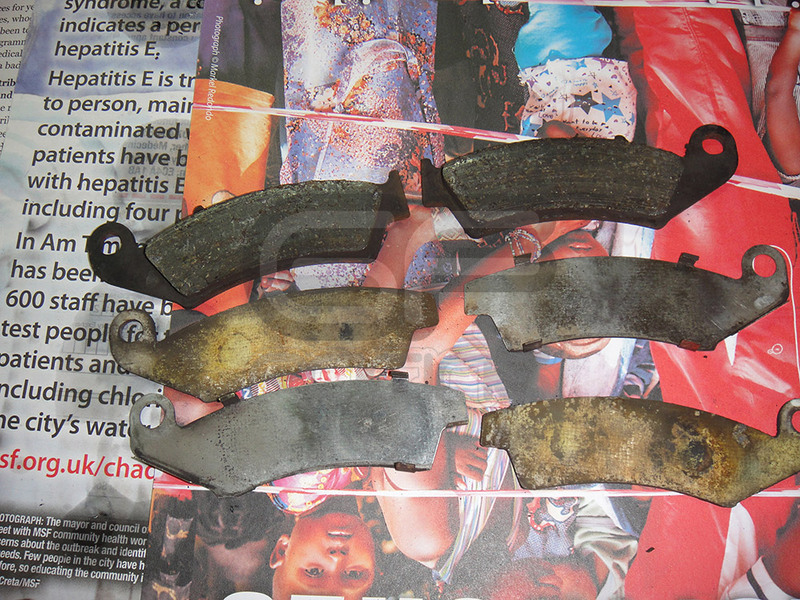 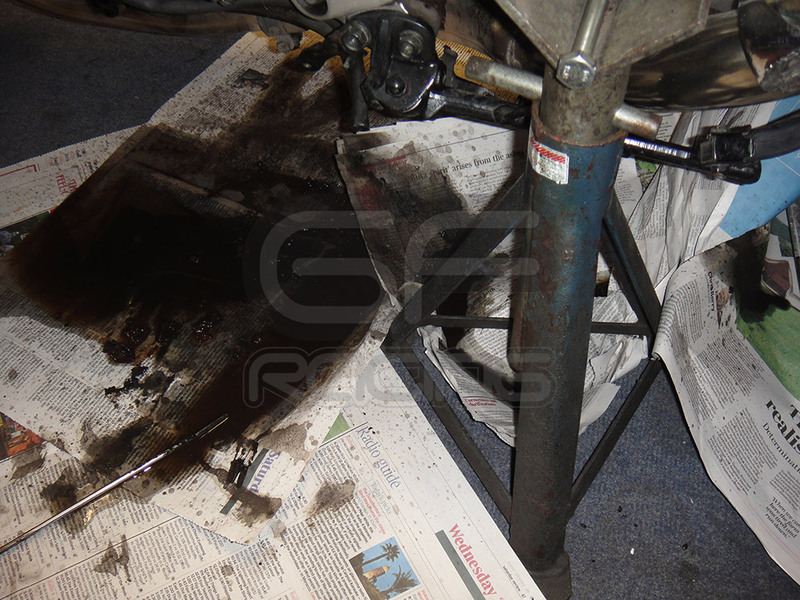 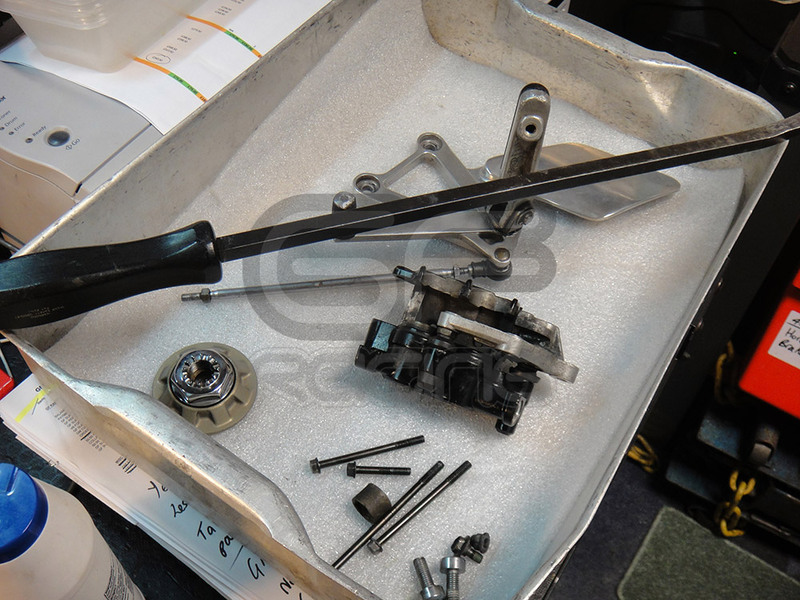 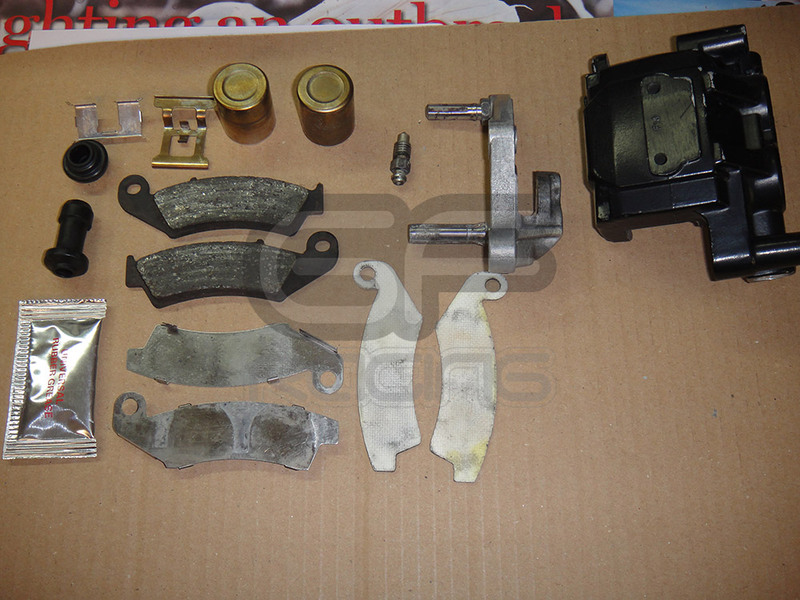 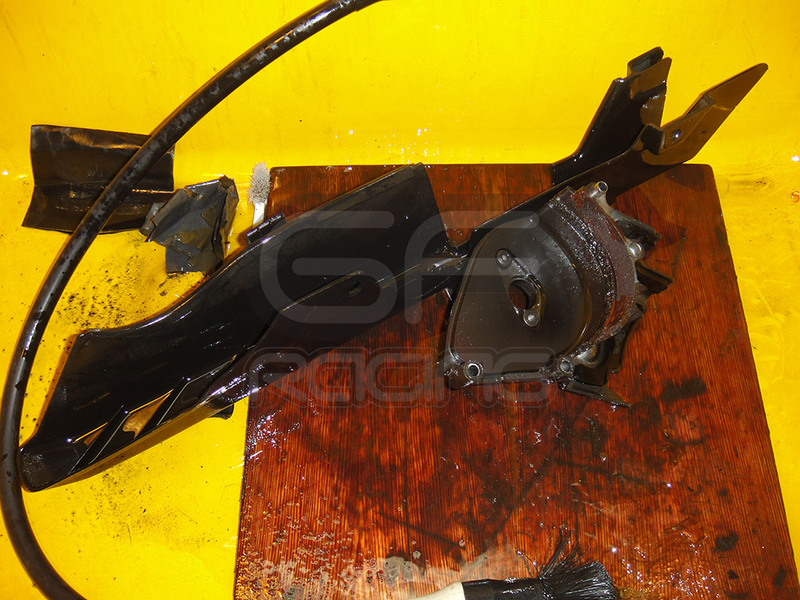 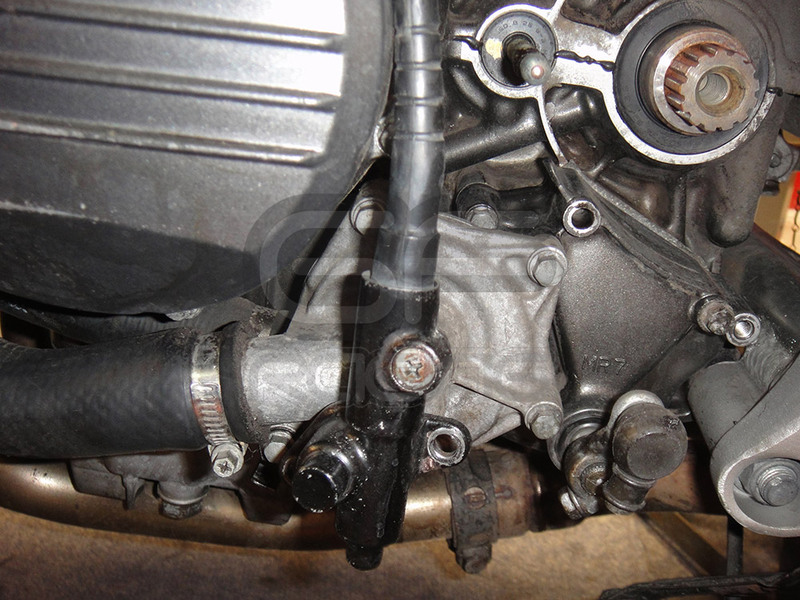 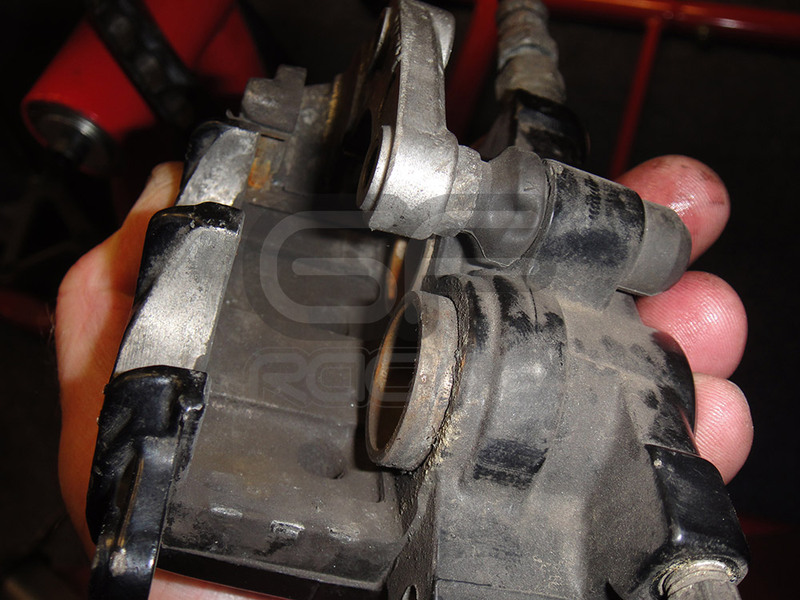 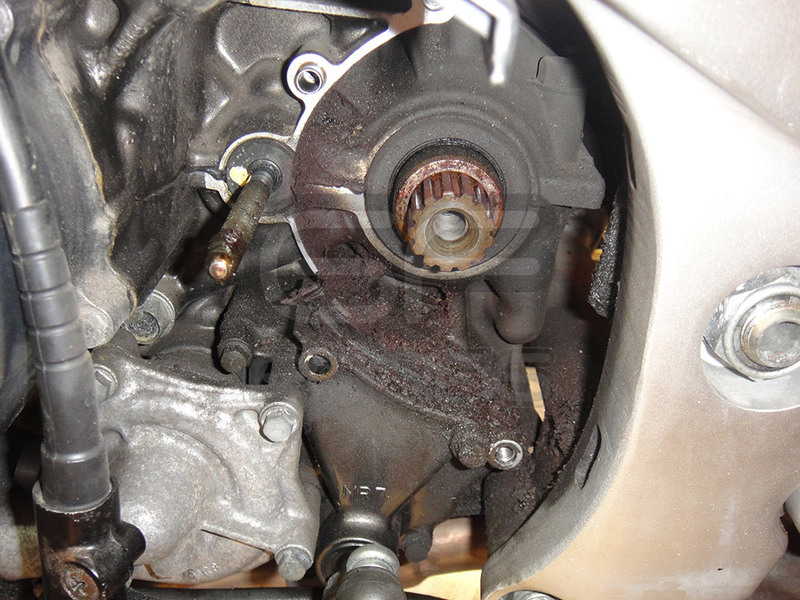 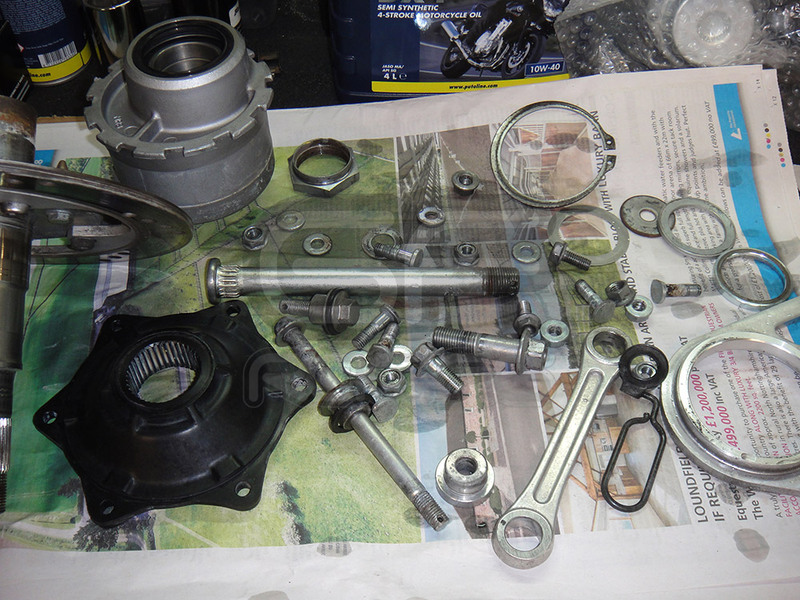 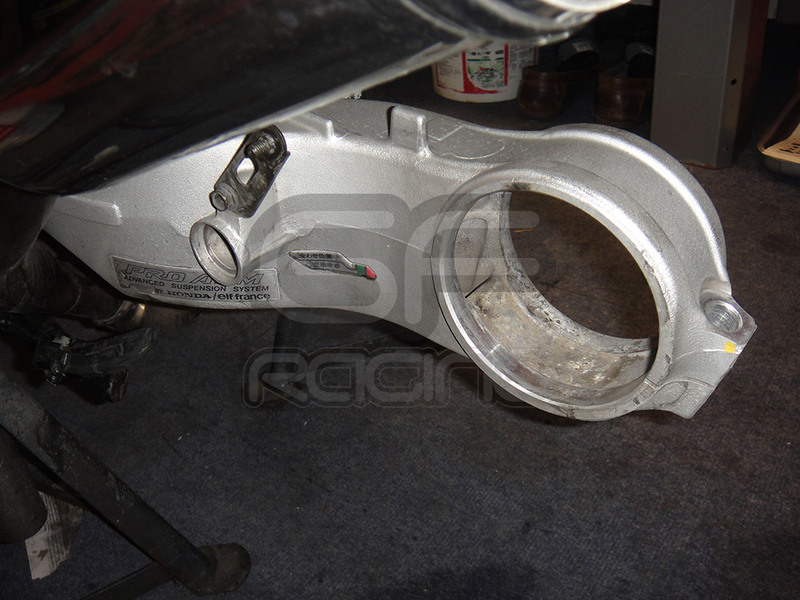 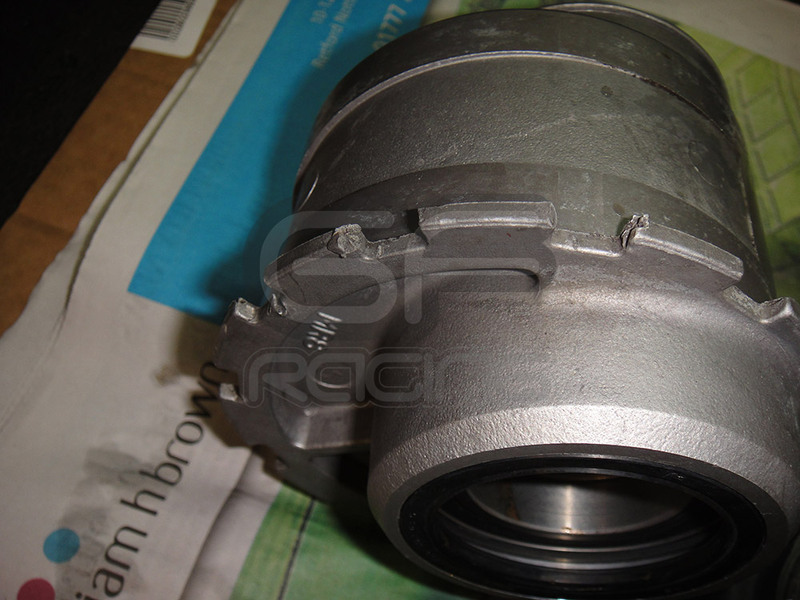 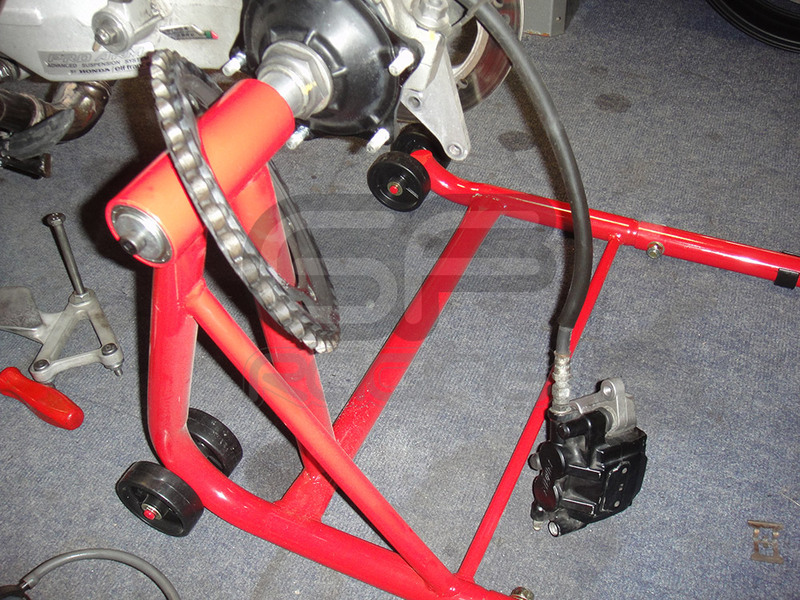 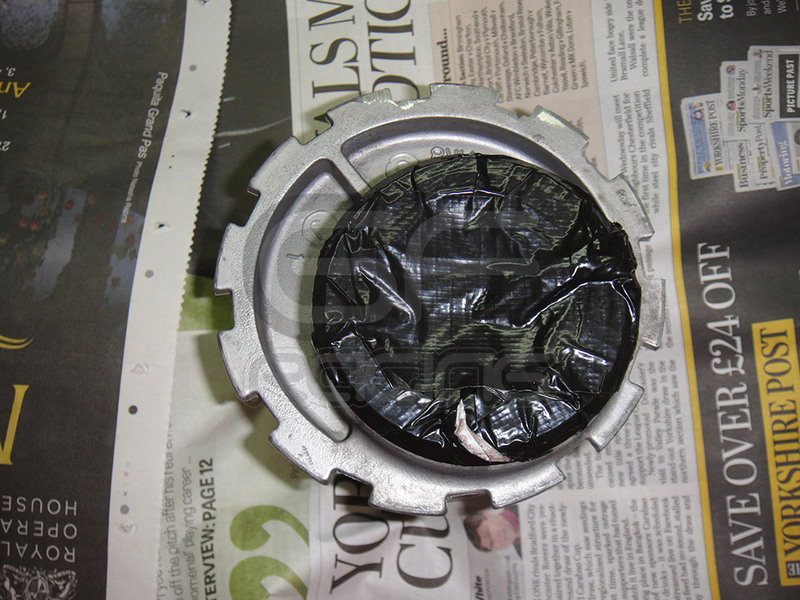 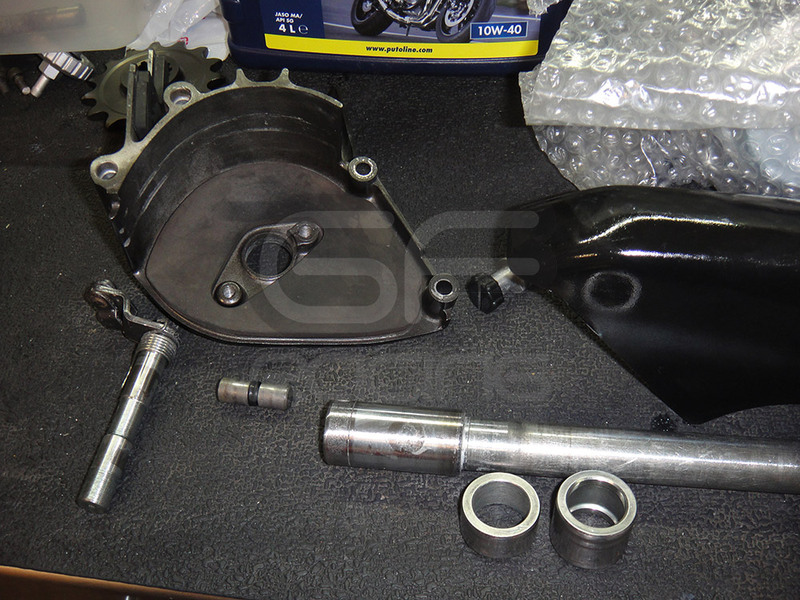 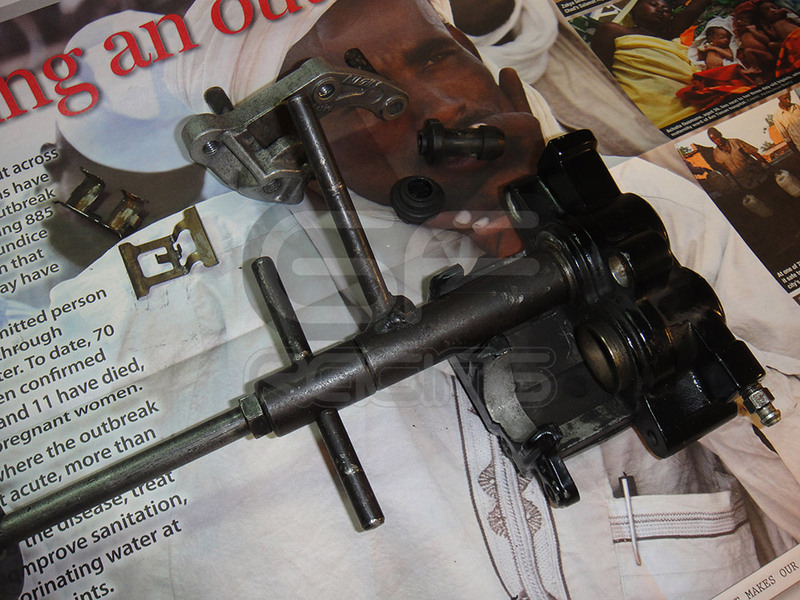 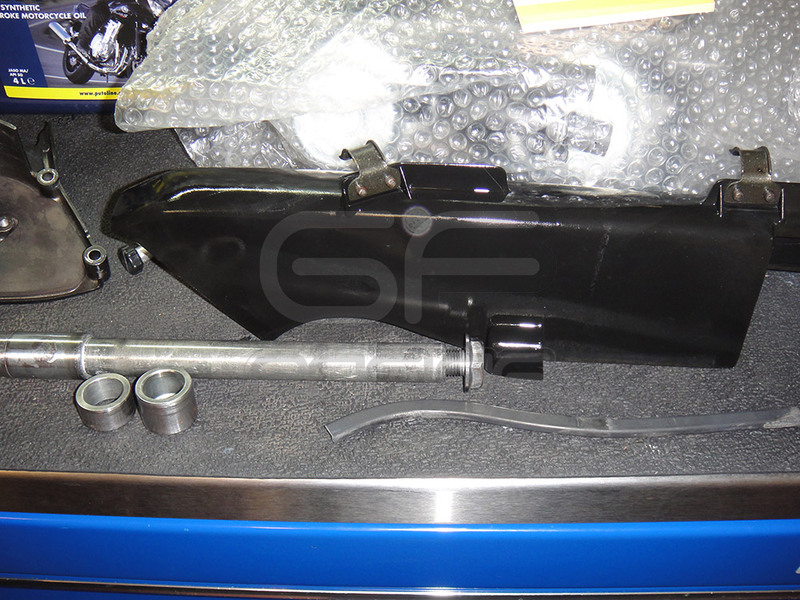 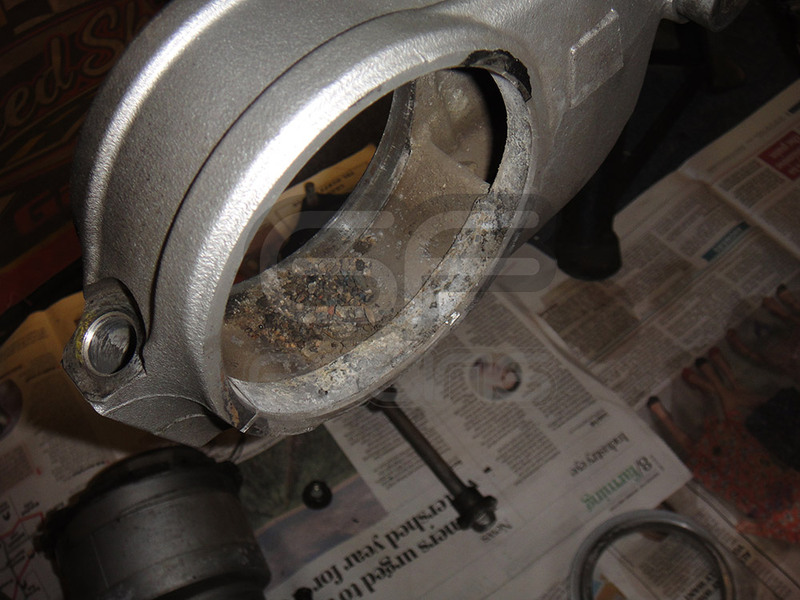 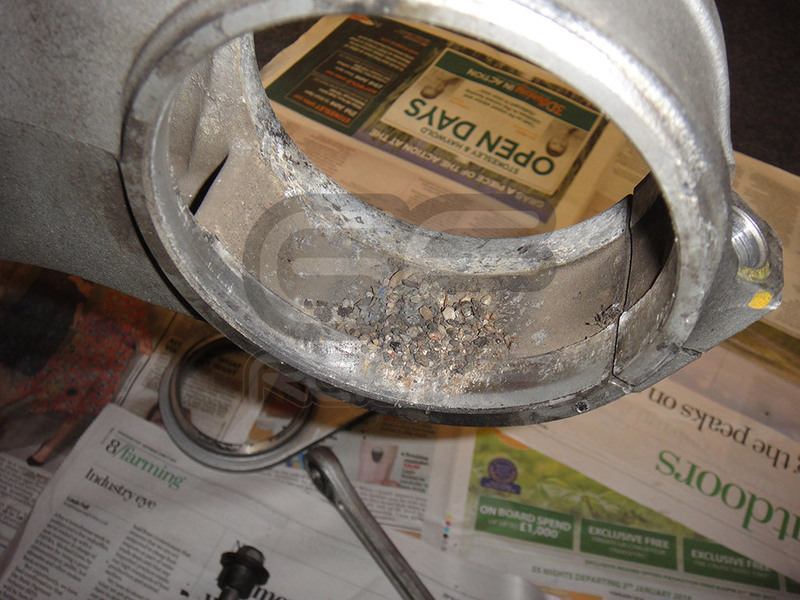 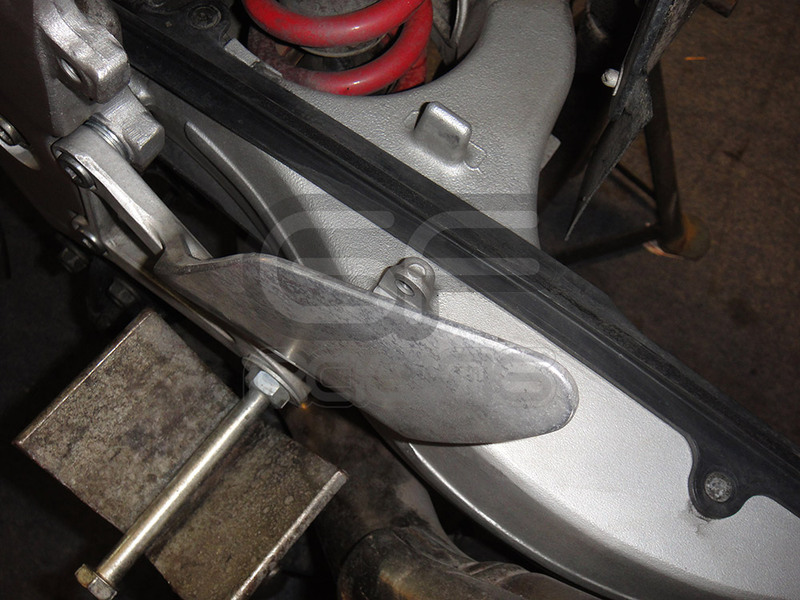 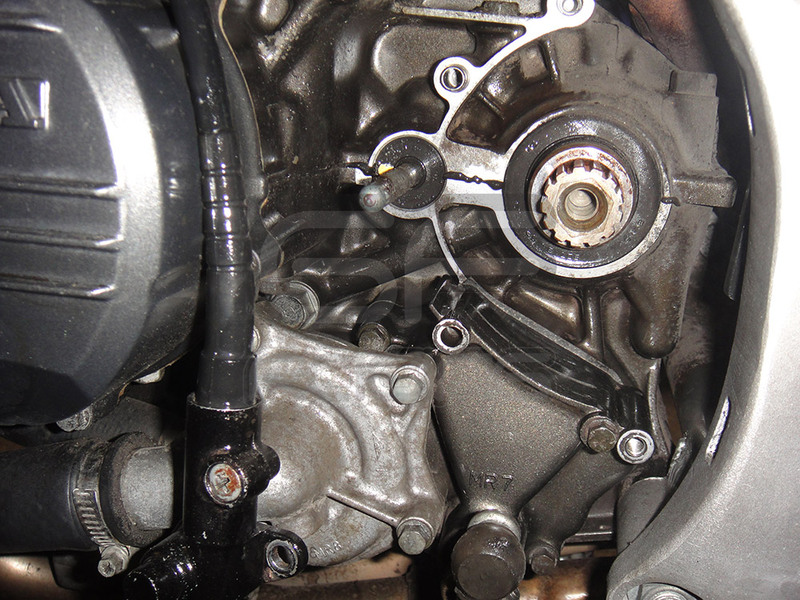 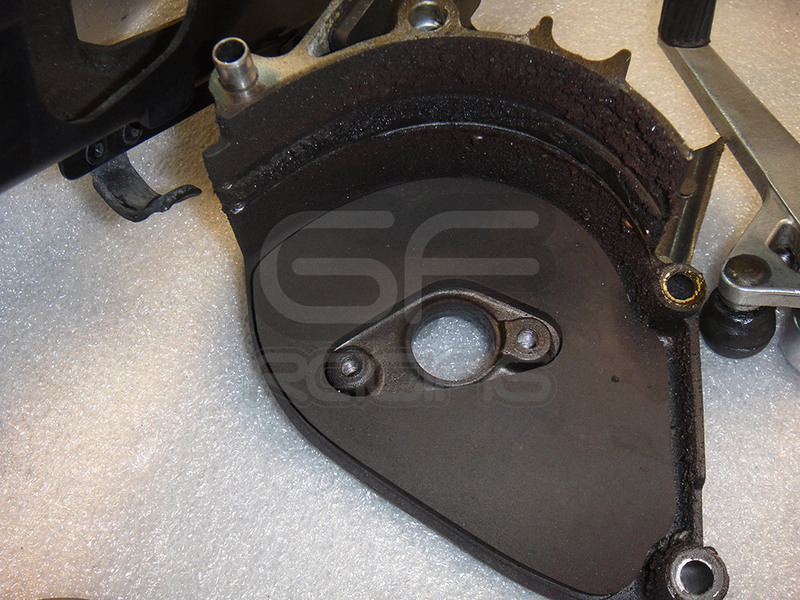 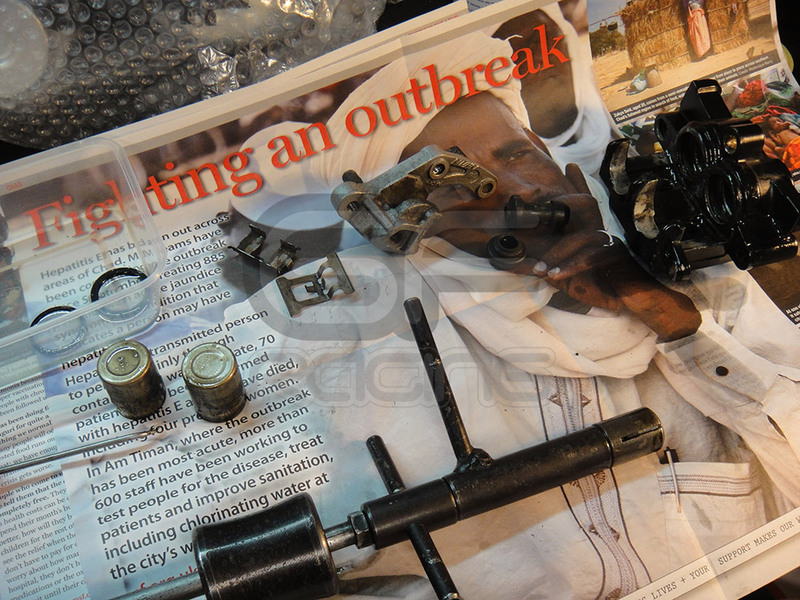 Seized Clutch actuator on the right…. 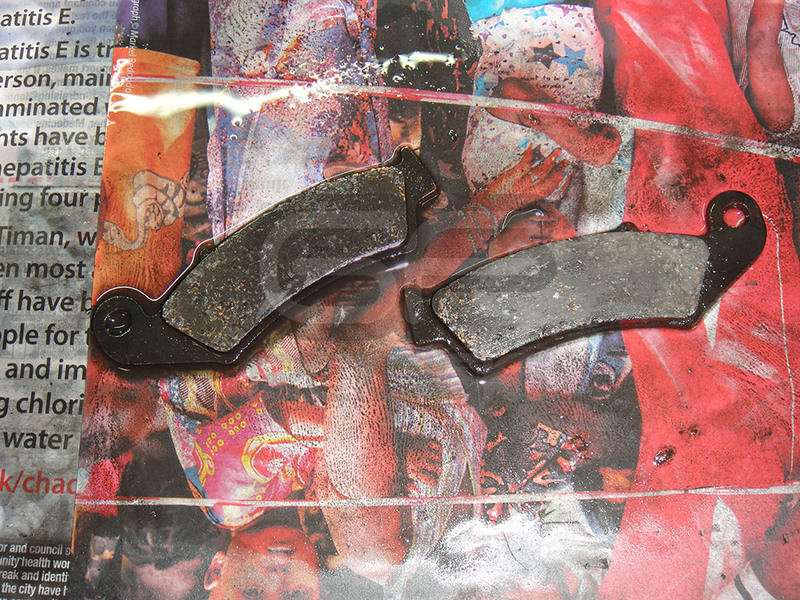 New/Good used on the left! 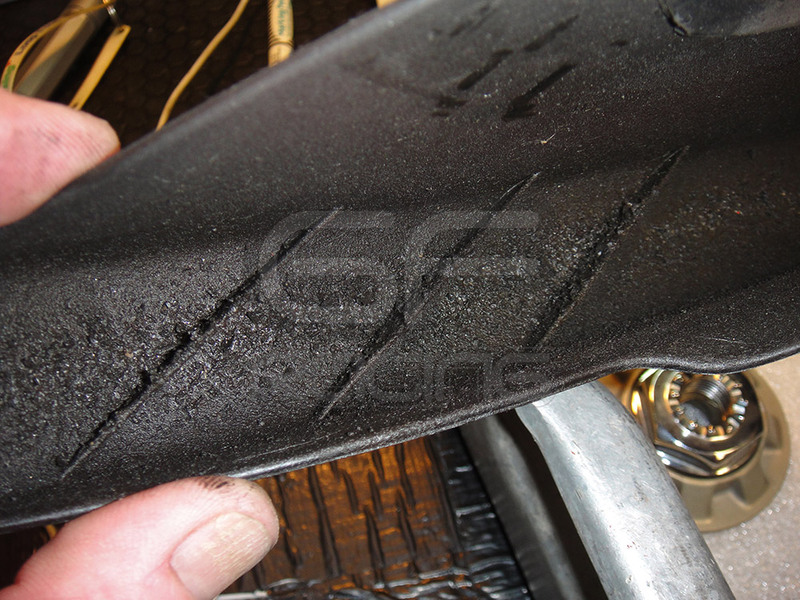 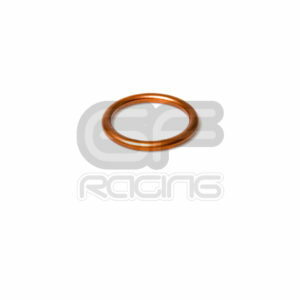 No wonder the clutch felt awful! 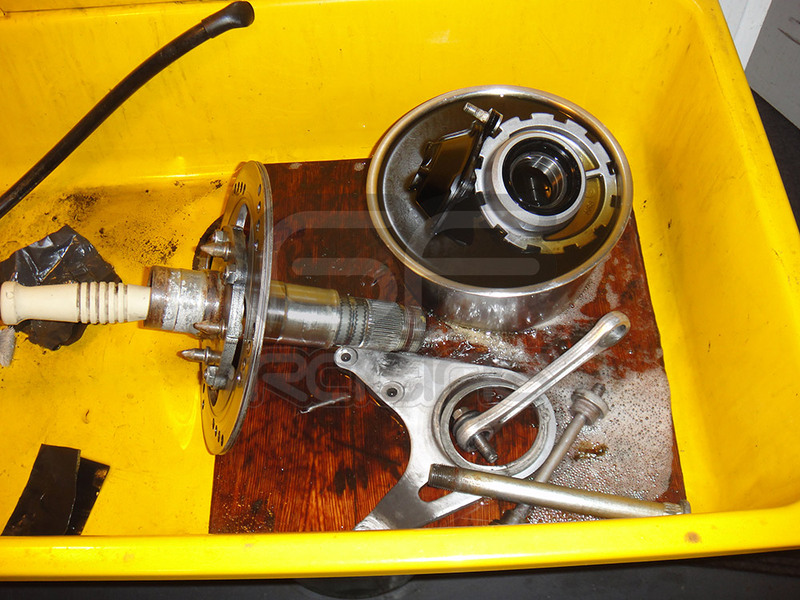 Parts get some serious cleaning tank treatment! 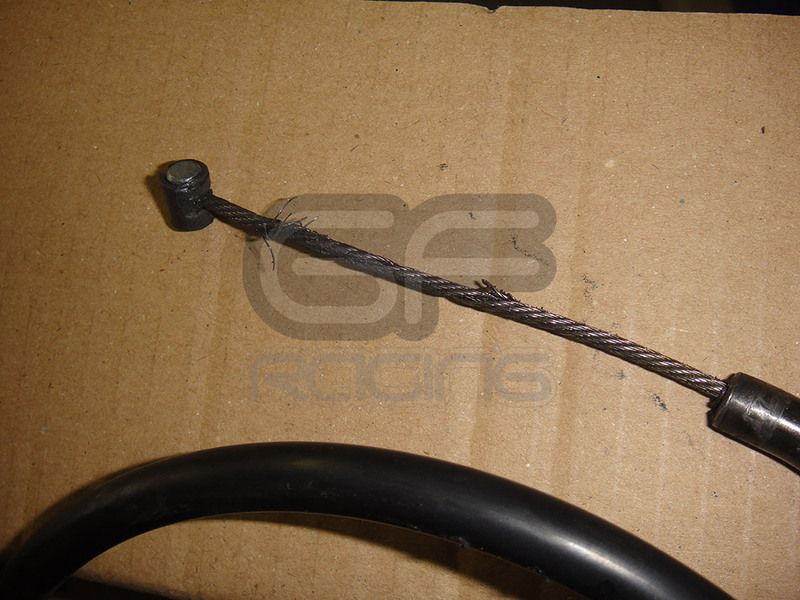 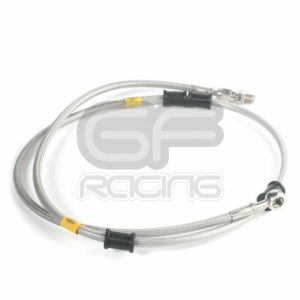 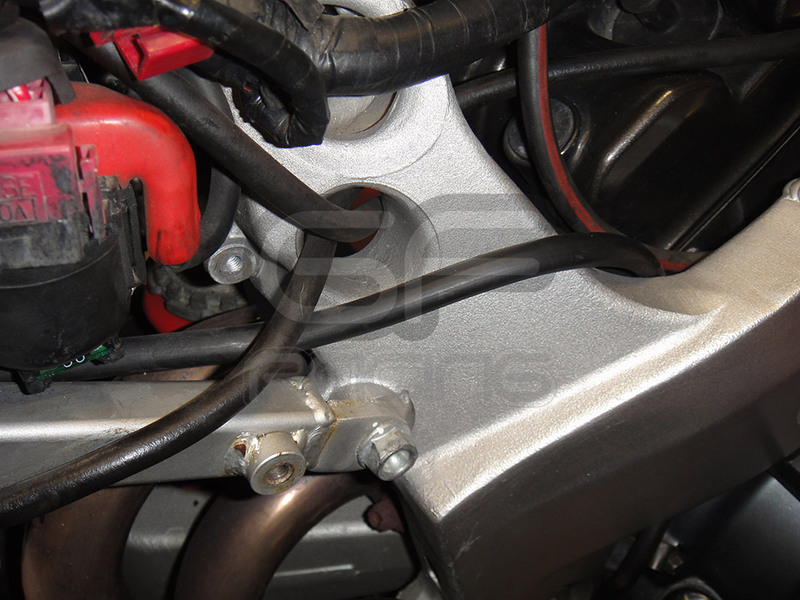 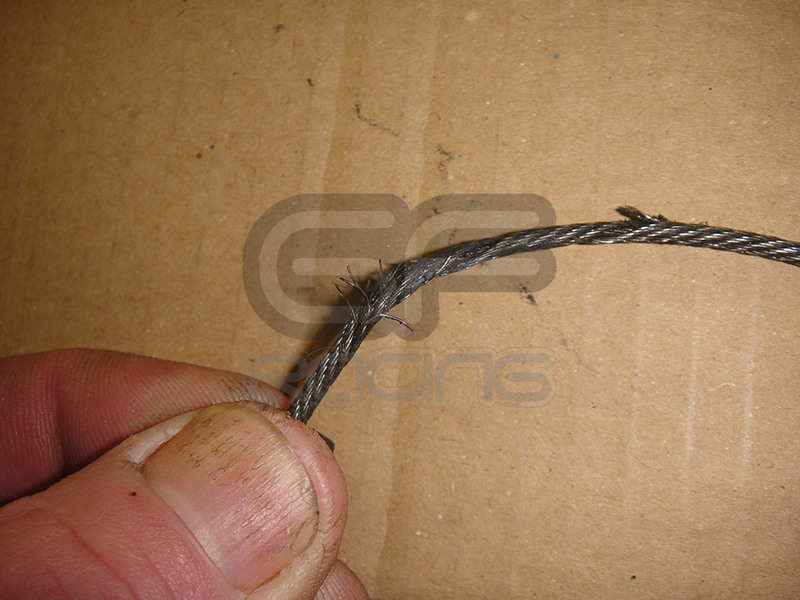 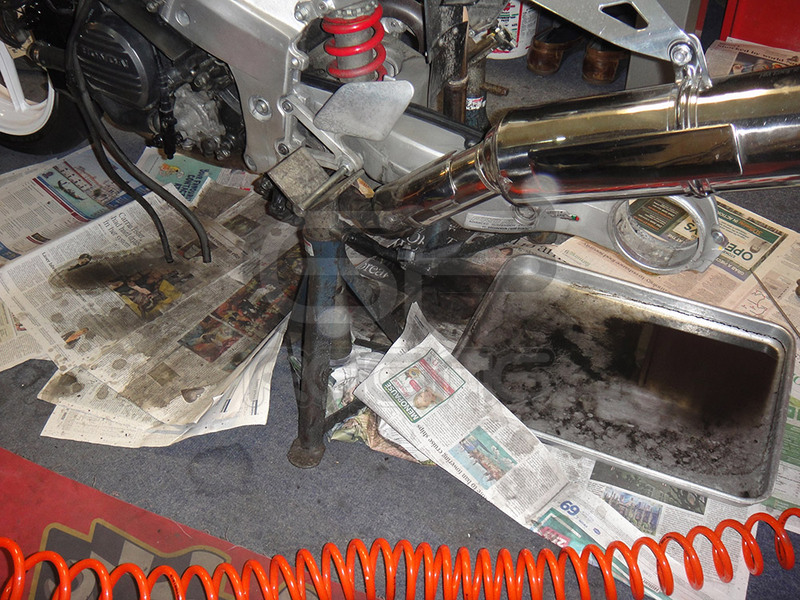 We wouldnt expect routing of cables like this from a trained Honda Mechanic! 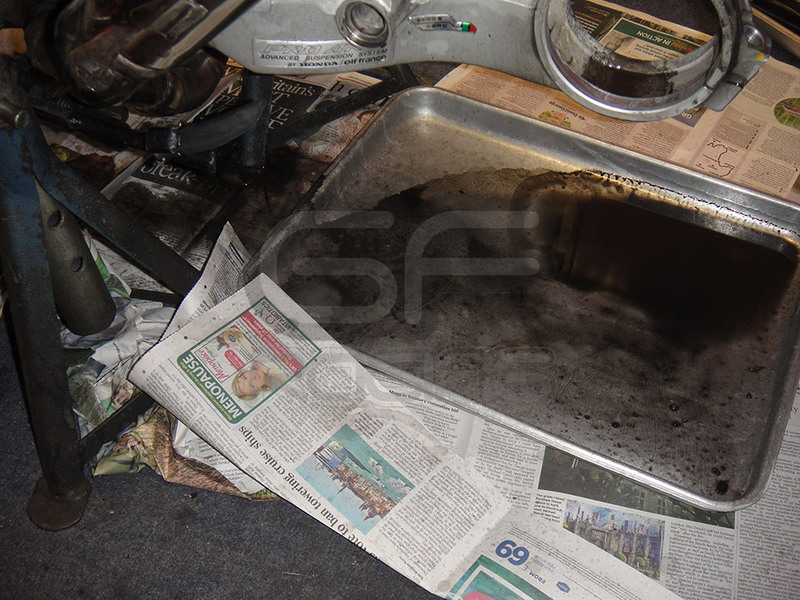 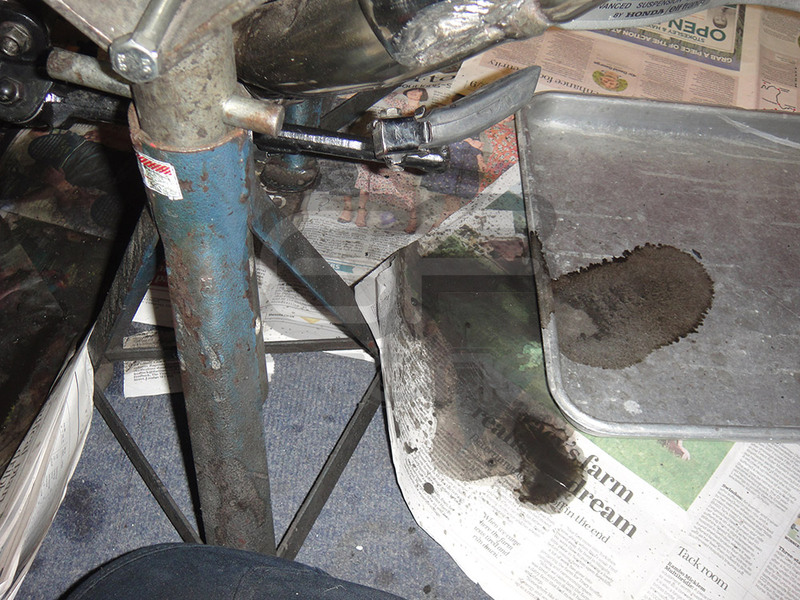 The filth thats created during a deep clean! 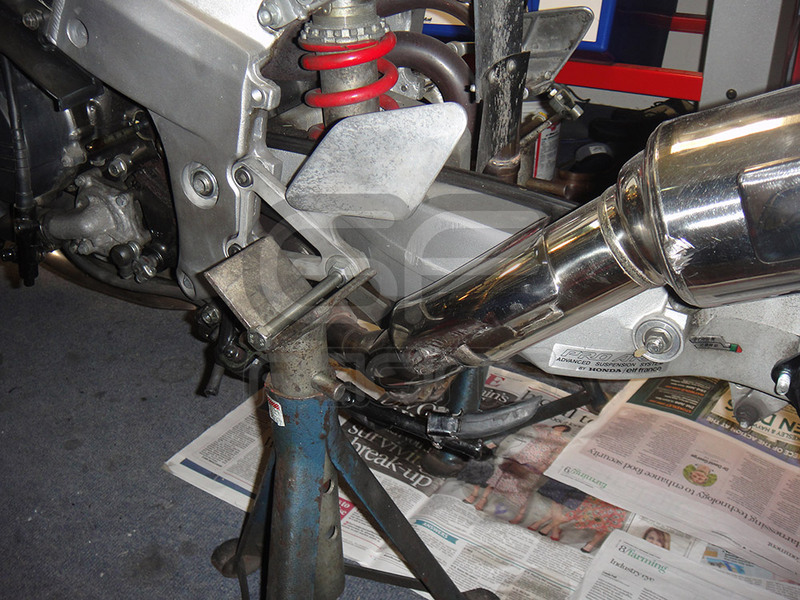 …and some more for good measure! 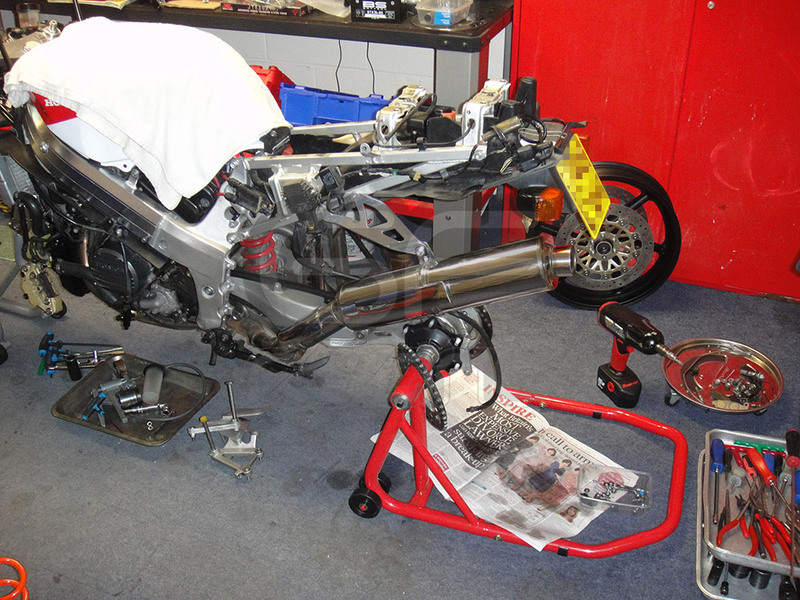 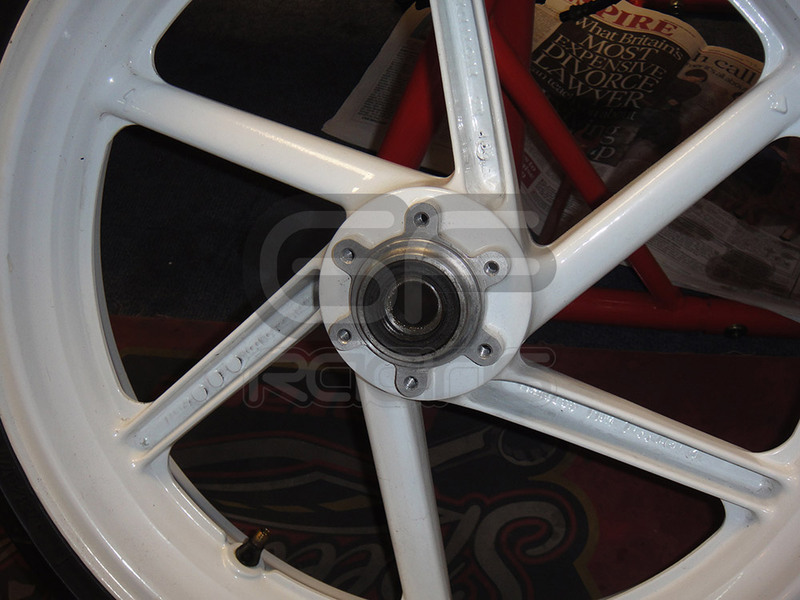 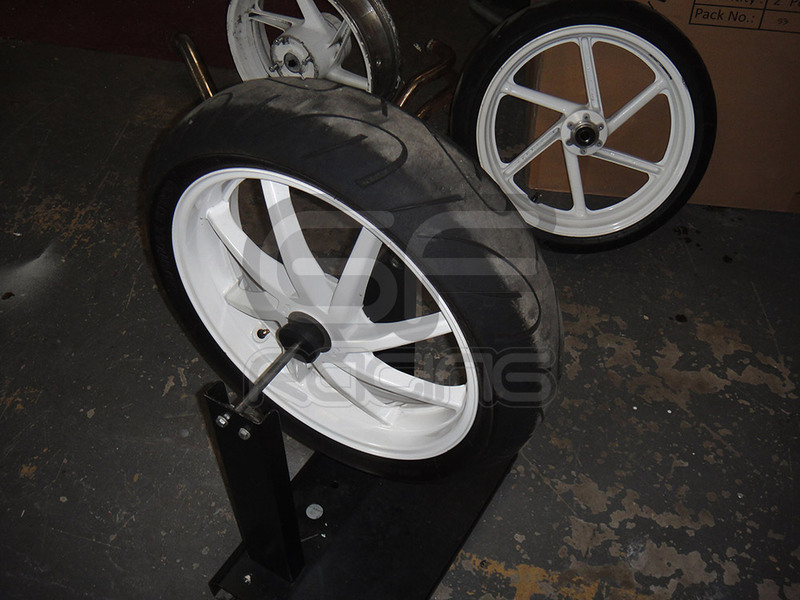 rear swing arm and rear sets starting to look a bit better!